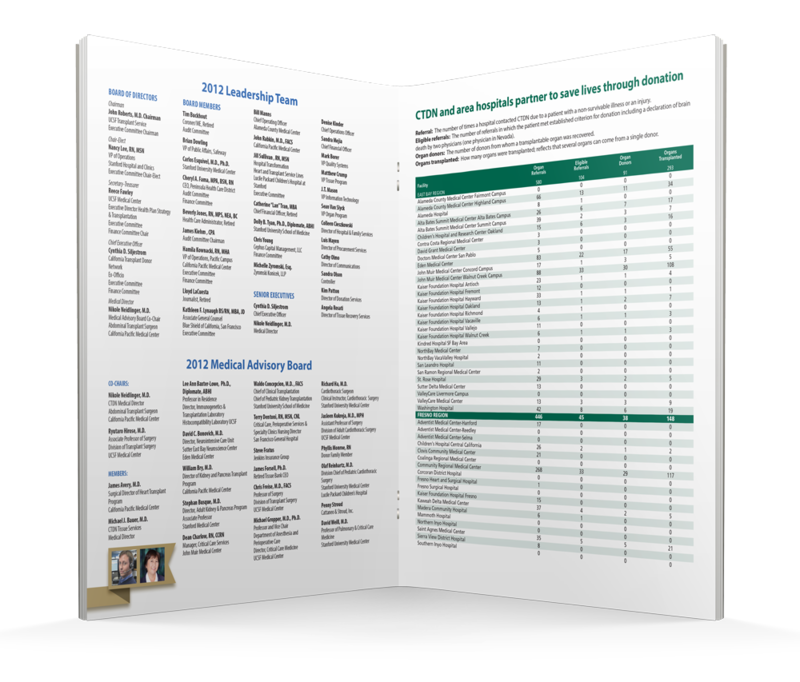 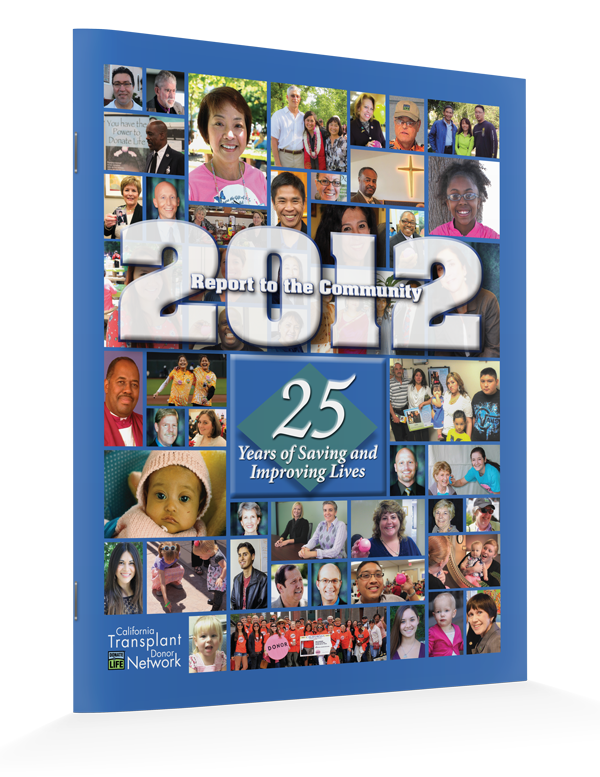 California Transplant Donor Network's Annual Report for the year 2012, printed in 2013. 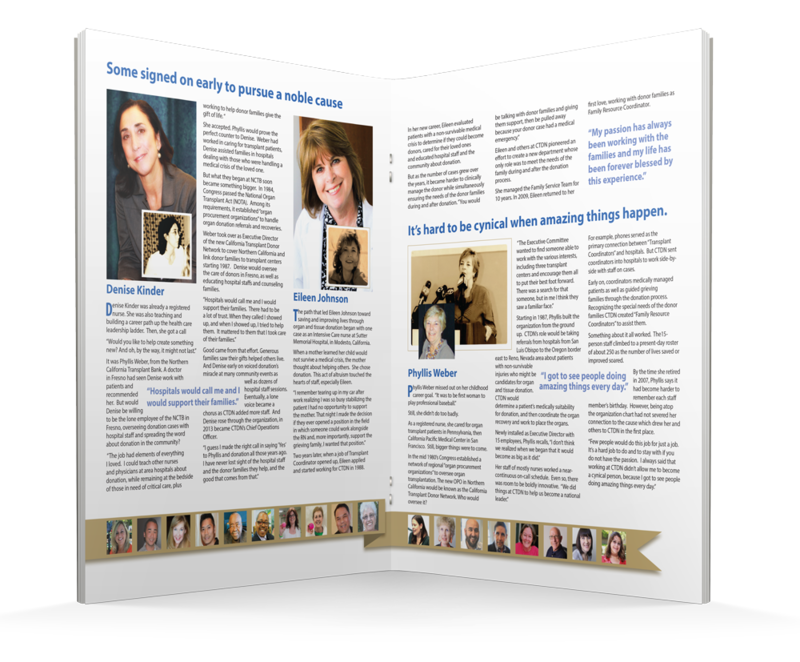 This issue featured faces of donation. 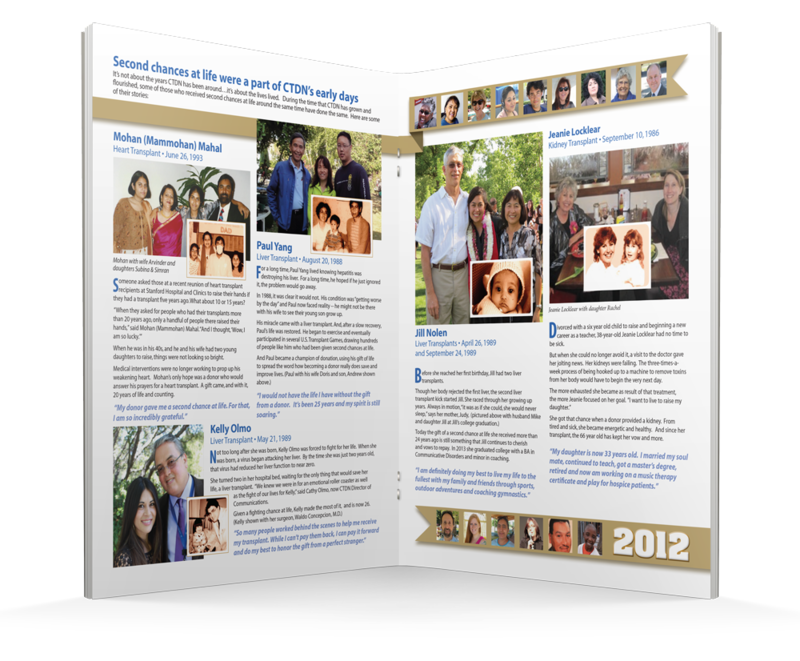 All the photos on these pages either were donors, recipients, doctors, family, or staff. 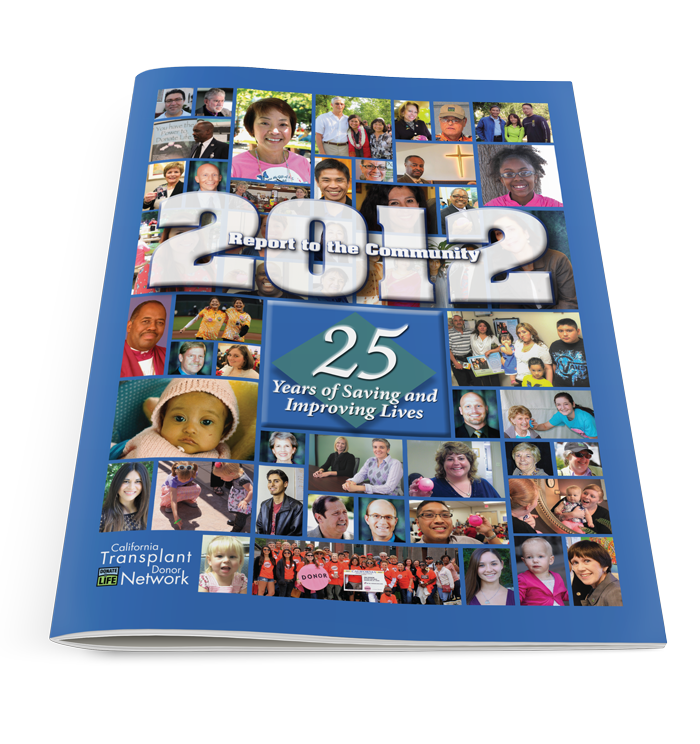 And the story was about who donation affects.